It is Day. Enemies do not make engagement checks. Forced: When it becomes Day, return each enemy in play to the staging area. 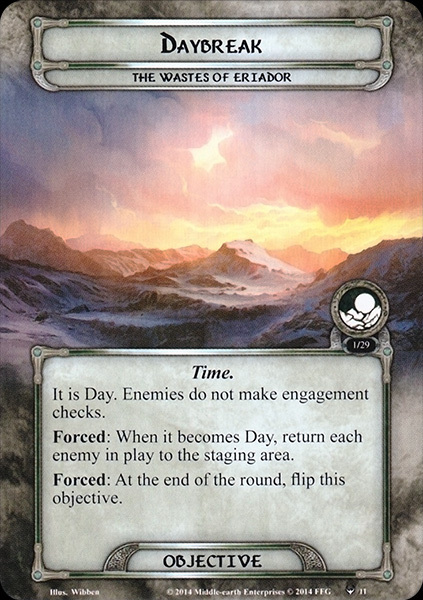 Forced: At the end of the round, flip this objective.